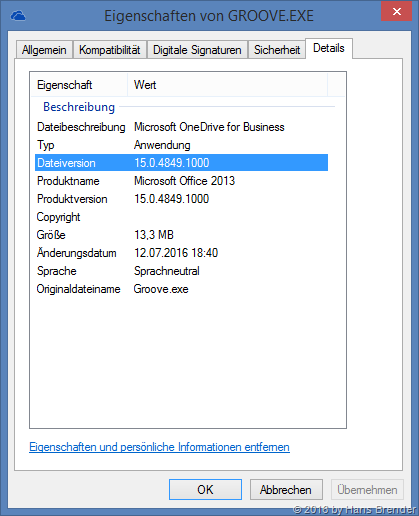 am 06.09.16 veröffentliche Microsoft ein weiteres Update zum Synchronisations-Client OneDrive for Business (Groove.exe). 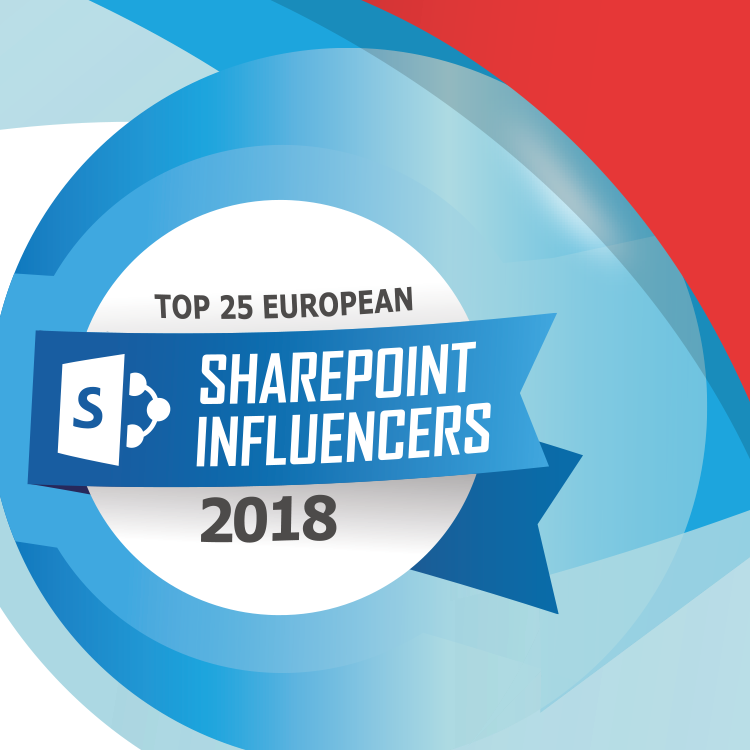 Dieser Synchronisations-Client wird für den Zugriff auf alle SharePoint On-Premise Varianten benötigt. Gleiches gilt aber auch, um Office 365 Dokumenten-Bibliotheken von Team-Sites und Groups mit einem lokalen Gerät zu synchronisieren. Laut Zeitplan von Microsoft soll sich dies bis zum Jahresende ändern. 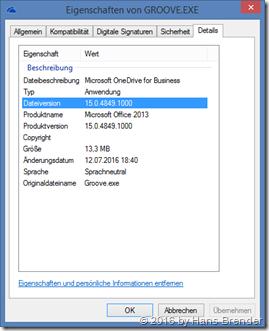 KB3118265 für Office 2016 Mit diesem Update stellen Sie sicher, dass bestehende Synchronisationen des “Groove-Client” problemlos vom Next Generation Sync Client (NGSC) übernommen werden können. Außerdem wurden Verbesserungen eingefügt, die ein Absturz des Programms beim Synchronisieren von Dateien verhindern. Dies ist also ein weiterer Schritt für die Ablösung dieses Synchronisations-Client. 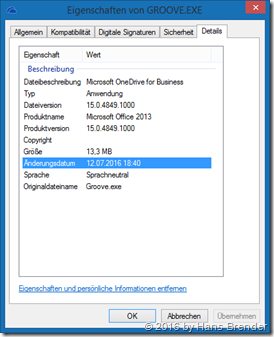 Hier sollte unter Office 2013 die Version 15.0.4859.1000 oder höher sein. Dieses Update ist für einen reibungslosen Übergang vom alten Sync-Client “Groove.exe” zum Next Generation Sync Client notwendig. Es sollte also unbedingt installiert werden. 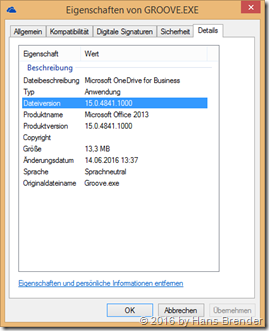 OneDrive for Business | September-Update engl. 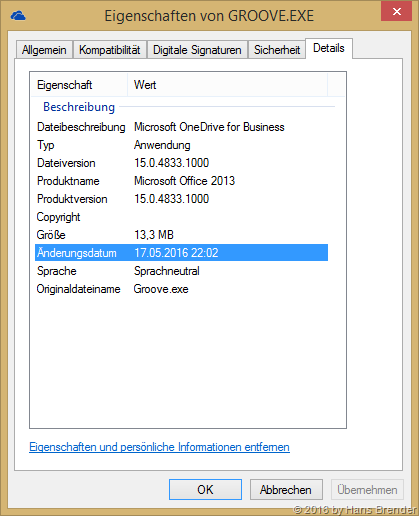 Microsoft published on 09/06/16 another Update for the old OneDrive for Business sync client “Groove.exe”. You have to use this Sync client for local synchronizations from all SharePoint on-Premise variants. At this time you also have to use this client to sync data from document libraries from Office 365 stored at Team Sites or Groups. According to the Schedule of Microsoft this should be changed till end of the year. KB3118265 for Office 2016 Provide support to allow the OneDrive for Business Next Generation Sync Client to take over synchronization of OneDrive for Business and SharePoint document libraries. When you use OneDrive for Business to synchronize files, OneDrive for Business may crash and exit unexpectedly. This is another step to replace for the old Sync client. So the version for Office 2013 of the file should be 15.0.4859.1000 or higher. And the version for Office 2016 of the file should be 16.0.4432.1000 or higher. This update is necessary to ensure smooth transition from the old Sync Client "Groove.exe" for Next Generation Sync Client. So it should be necessarily installed. It’s curious. 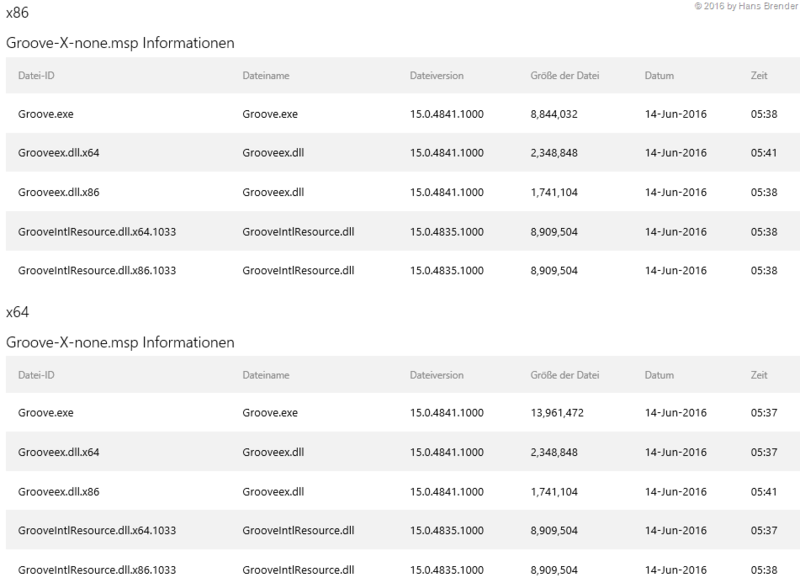 Last Thursday was the time, where Updates to “Groove.exe” should be found in WSUS. But there are not. Perhaps the Microsoft people, responsible for this are on vacation or Microsoft has no capacity on their Servers through the Windows 10 Anniversary Update. 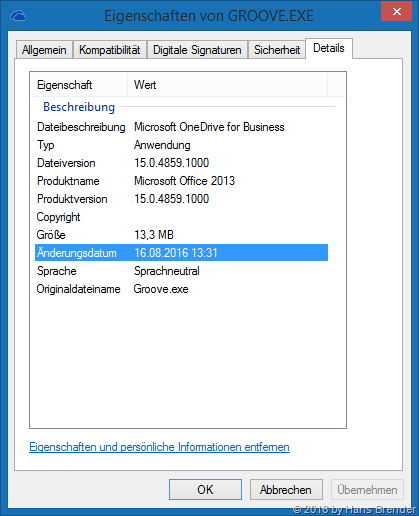 In the 2016 August Updates there are listed two Updates for OneDrive for Business, one for Office 2013, one for Office 2016, both only for MSI installations. 1) Translates some terms in multiple languages to make sure that the meaning is accurate. We can’t sync this library because the configuration created by the site administrator isn’t supported. Your OneDrive for Business files will no longer sync using this application. To continue syncing your files, please use the latest OneDrive application. 3) Fixes an issue in OneDrive for Business in order to allow improved support of transitions to the OneDrive for Business Next Generation Sync Client. 4) This update provides the fix for OneDrive for Business to handle incorrect server messages. Essentially, there are so improvements in Groove client, the message now is to represent clear and preparations for the changeover to the next generation synchronization client (NGSC). Soon users, that have not yet converted to NGSC, "forced" to install the the next generation sync client. So the version for Office 2013 of the file should be 15.0.4849.1000 or higher. 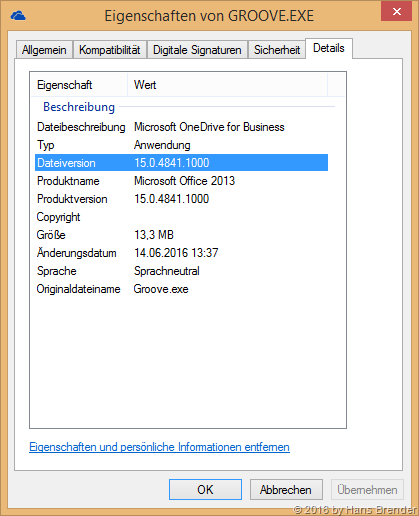 And the version for Office 2016 of the file should be 16.0.4417.1000 or higher. It remains to be seen, when the Office updates appear in WSUS. Users who has no WSUS deployed, may download and install it manually.